It's never too late for a pumpkin ale. This is a bottle I put in the cellar last fall to see how the beer might change over a year. I enjoyed it the first time, and was looking forward to seeing how the beer held up after a year in the cellar. The pour is a golden orange with little-to-no head. This is a bit surprising because there was a decent head when it was poured fresh. I am hoping the seal hasn't been compromised. The nose is just as I remember: sweet pumpkin dessert. 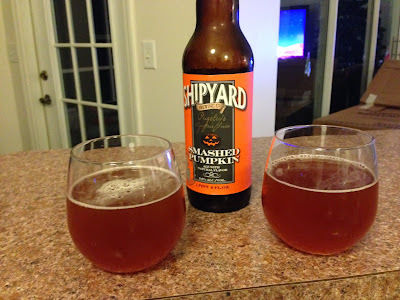 Pie crust, cinnamon, pumpkin, and sweet malt. 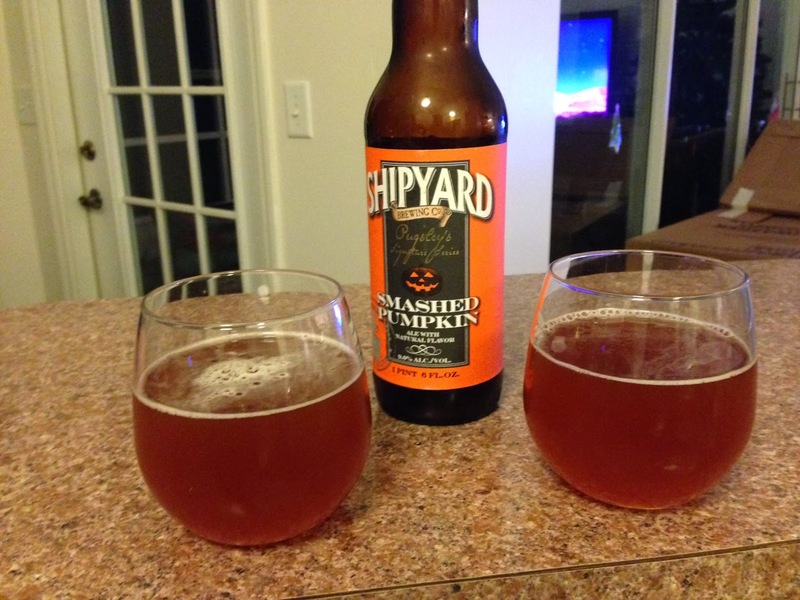 The taste is chock-full of spices and sugary pumpkin pie. The alcohol is definitely noticed, but it's not overly hot. There's also a sourness, or maybe it's a strong tartness, that I am picking up--it's not all that pleasant. The finish is disappointing. The flavors seem to jam the front of the palate, leaving the finish to be something unremarkable. Overall, this seems to be lacking something. The flavors have mellowed from last year and the body also seems to have thinned up. The more I drank the beer, the less I liked it. The beer, after a while, tastes full of artificial flavoring (like a bad candied soda). To sum up: this isn't a bad beer if you have it fresh. Sometimes cellaring pays off. Not this time.